ANN ARBOR. 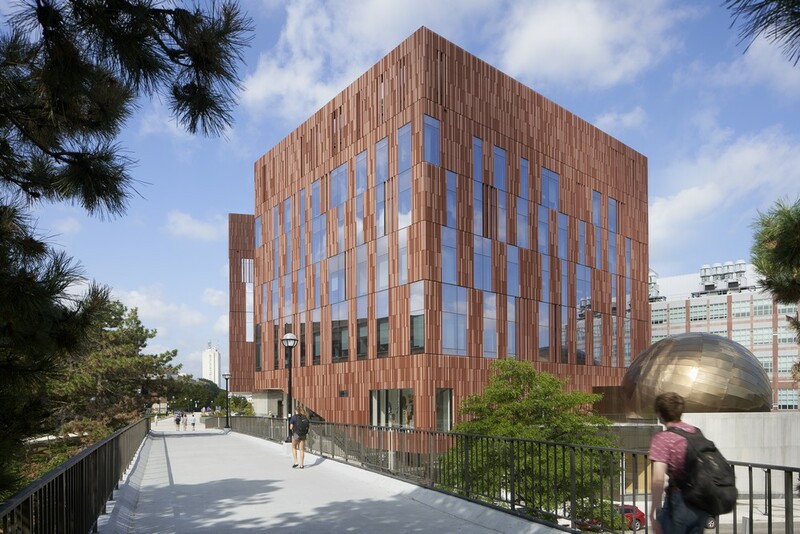 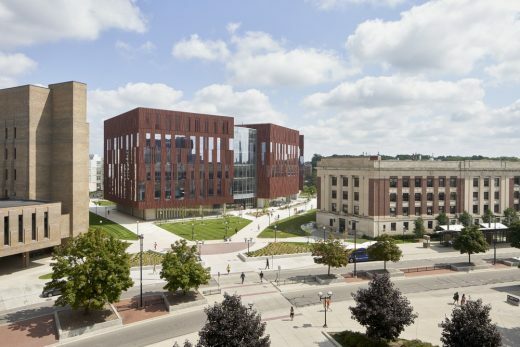 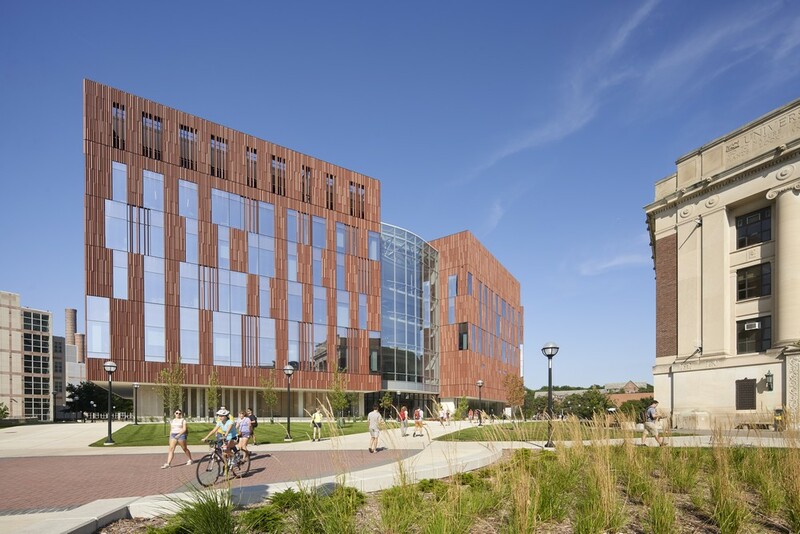 Michigan, April 12, 2019 – Today, the design firms of Ennead Architects (Design Architect) and SmithGroup (Architect of Record) celebrates the grand opening of the University of Michigan’s new Biological Sciences Building (BSB). 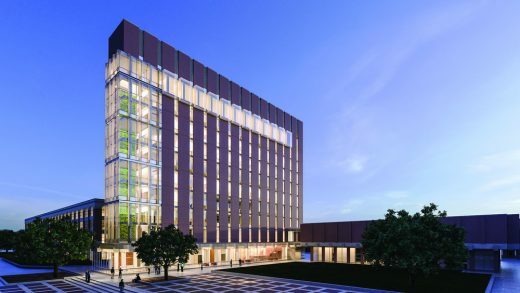 Characterized by a transparent, open-lab concept that combines cutting-edge scientific research and the new home of the U-M Museum of Natural History, the BSB establishes a new paradigm in science education for a university that is widely recognized as one of the nation’s leading research institutions. 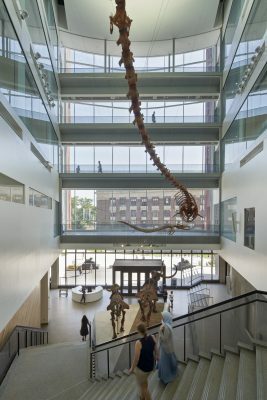 The merging of the BSB with the university’s Museum of Natural History – which opens to the public on April 14 and is configured as a series of public galleries and exhibits that allow visitors to wind their way through the first and second floors of the BSB – gives the community access to longtime favorite exhibits, such as a pair of mastodon skeletons. 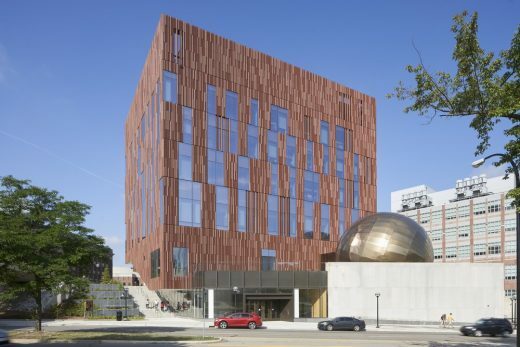 New museum amenities include a 60-seat, state-of-the-art planetarium and domed theater; a multimedia science forum which will bring visitors face-to-face with scientists and researchers, investigate labs for hands-on learning, and many interactive exhibits. 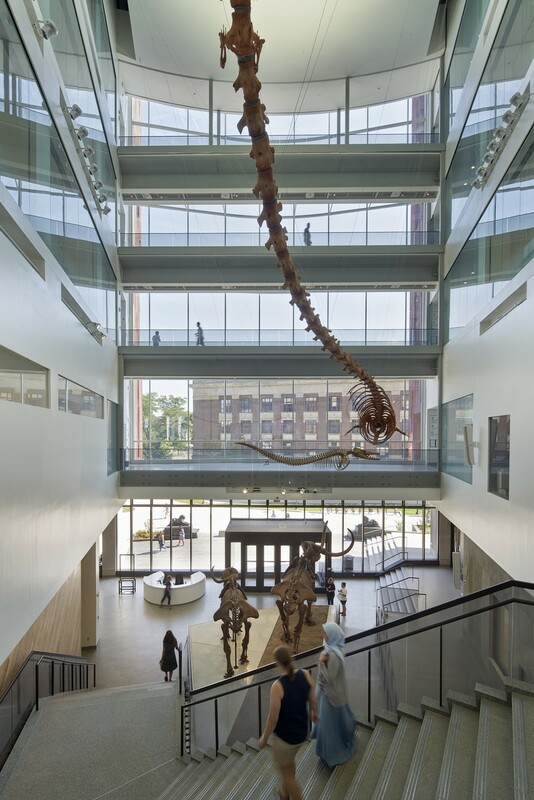 On the main floor, a glass-enclosed Fossil Prep Lab – one of two Science at Work exhibits — demonstrates the university’s commitment to sharing research activities with the public. The interactive space enables visitors to watch scientists prepare fossils for study and display. 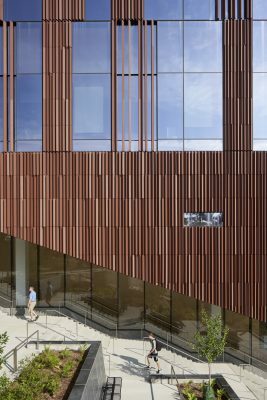 Guests are also invited to utilize a two-way intercom system to engage with researchers and ask questions about the work that is underway. Visitors can also enjoy a similar experience at the Biodiversity Lab, located on the second floor of the BSB. 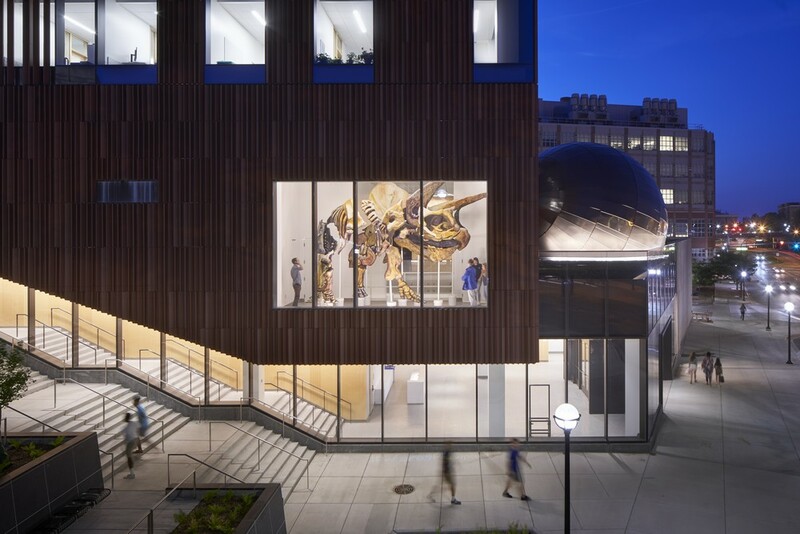 “By making science more accessible, we are encouraging visitors, young students in particular, to explore science in a new way,” said Jarrett Pelletier, AIA, Project Designer at Ennead Architects. 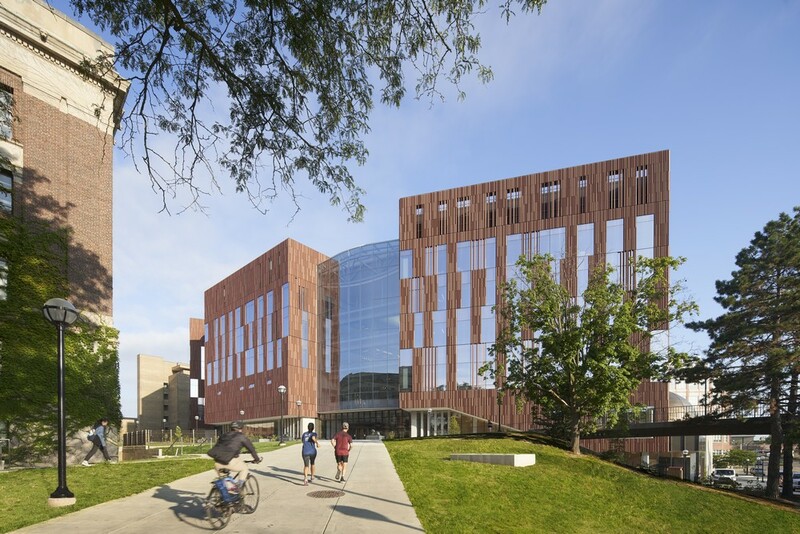 “We’re excited to think that this kind of interaction and outreach can have tremendous ability to inspire next-generation scientists,” adds Mark Potter, AIA, Project Manager for SmithGroup. 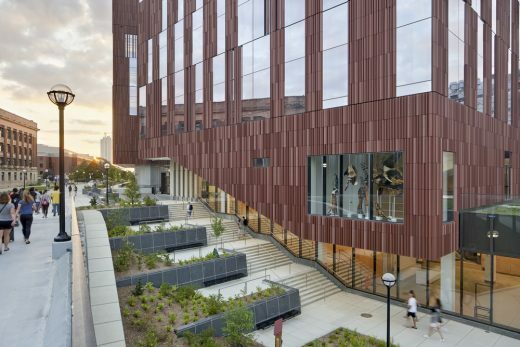 New York, New York-based Ennead Architects (Design Architect) and the Detroit office of SmithGroup (Architect of Record) worked in partnership to bring the project to fruition. Southfield-based Barton Malow served as the contractor. 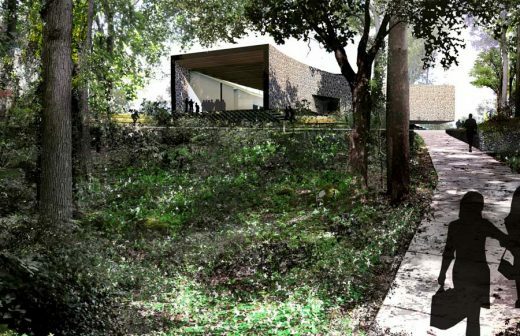 Museum exhibits were designed by Great Plains Exhibit Development Joint Venture led by Lord Cultural Resources, Xibitz and Taylor Studios. 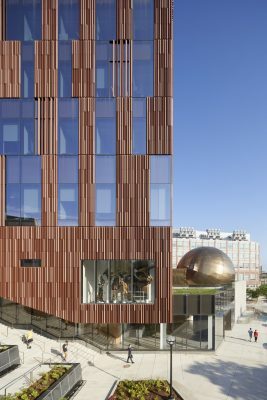 Ennead Architects (www.ennead.com) is an internationally-acclaimed, New York-based studio with offices in New York City and Shanghai. 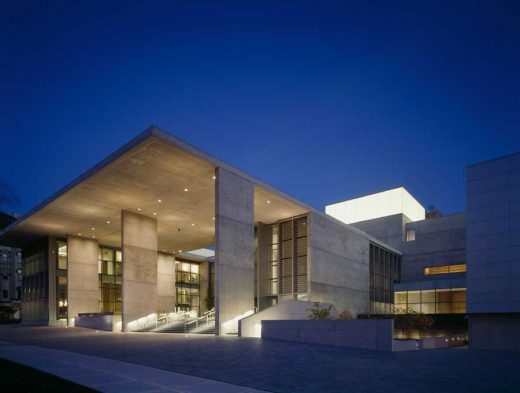 Renowned for its educational, cultural, scientific and governmental building designs that authentically express the progressive missions of their institutions and enhance the vitality of the public realm, Ennead has been a leader in the design world for decades. Recipient of the prestigious AIA NY Medal of Honor, the Smithsonian Institution-Cooper Hewitt National Design Award and the National AIA Firm Award, as well as numerous design awards for individual buildings, the studio has a portfolio that is diverse in typology, scale and location and includes new construction, renovation and expansion, historic preservation, interior design and master planning. 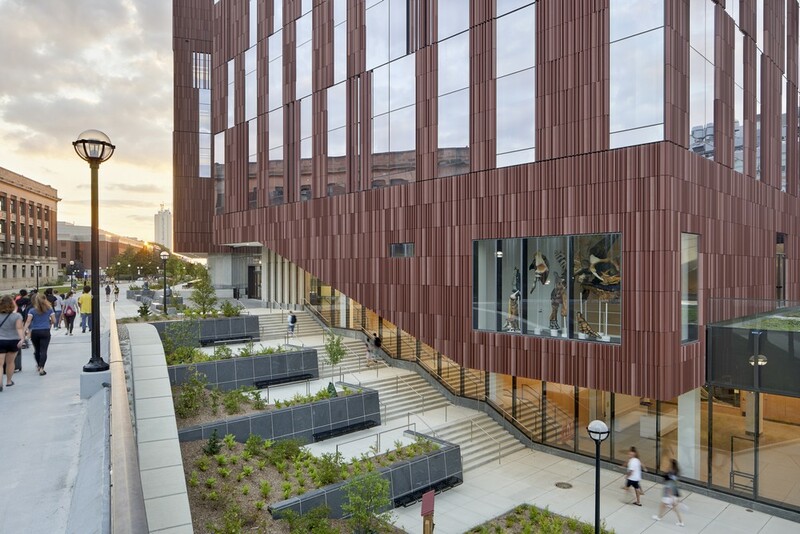 Ennead’s collaborative process is rooted in extensive research involving the analysis of context, program, public image, emerging technologies and a commitment to sustainable solutions. SmithGroup (www.smithgroup.com) is one of the world’s preeminent integrated design firms. 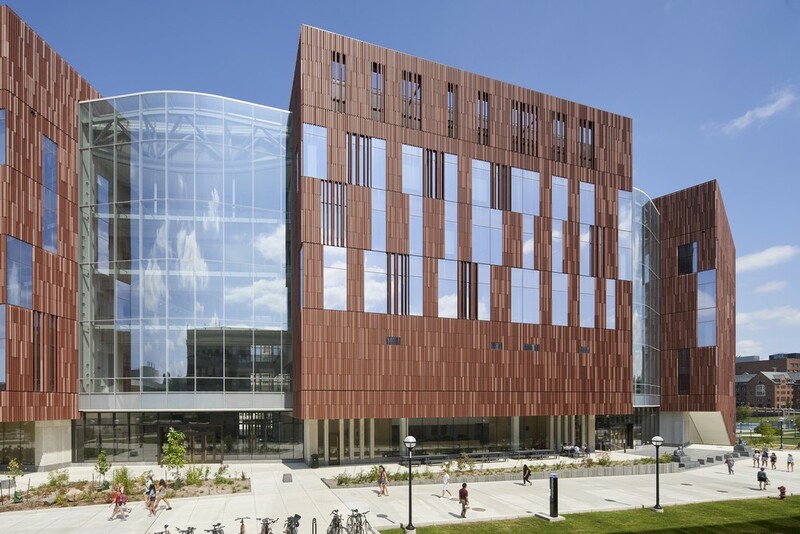 Working across a network of 14 offices in the U.S. and China, a team of 1,300 experts is committed to excellence in strategy, design and delivery. 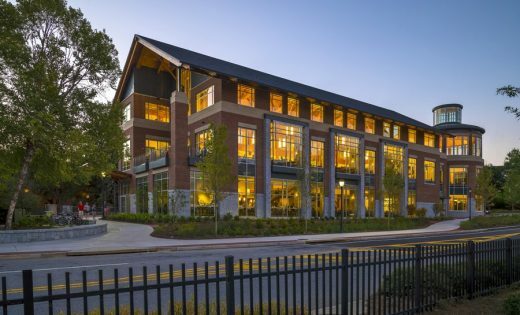 The firm partners with forward-looking clients to maximize opportunities, minimize risk and solve their most complex problems. 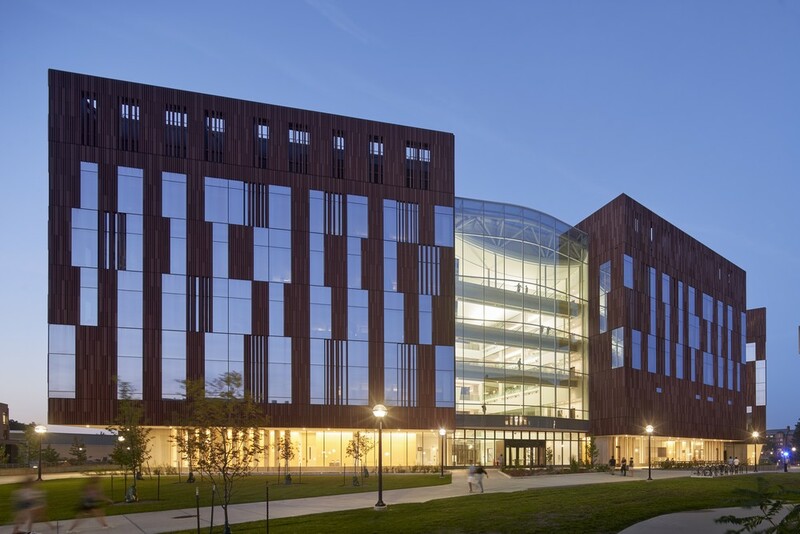 SmithGroup creates exceptional design solutions for healthcare, science and technology organizations, higher education and cultural institutions, urban environments, diverse workplaces, mixed-use and waterfront developments, and parks and open spaces.